This very morning, I was expecting to be driving in to the city of Bristol in order to collect a pack of 1¼in long coarse-thread pocket hole screws with washer heads, so that I could join some 18mm MDF later on today (I’m planning to make a short rip fence for my saw bench). A quick Google search yesterday afternoon to determine the store location revealed that they ceased trading at the beginning of February! 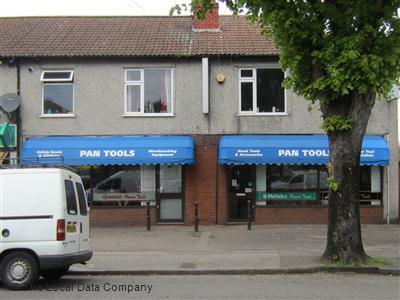 Pan Tools in Bedminster – sadly, no longer trading. We’re talking about Pan Tools; a name that’s been synonymous with power tool purchases in this city for several years.